Hi friends! 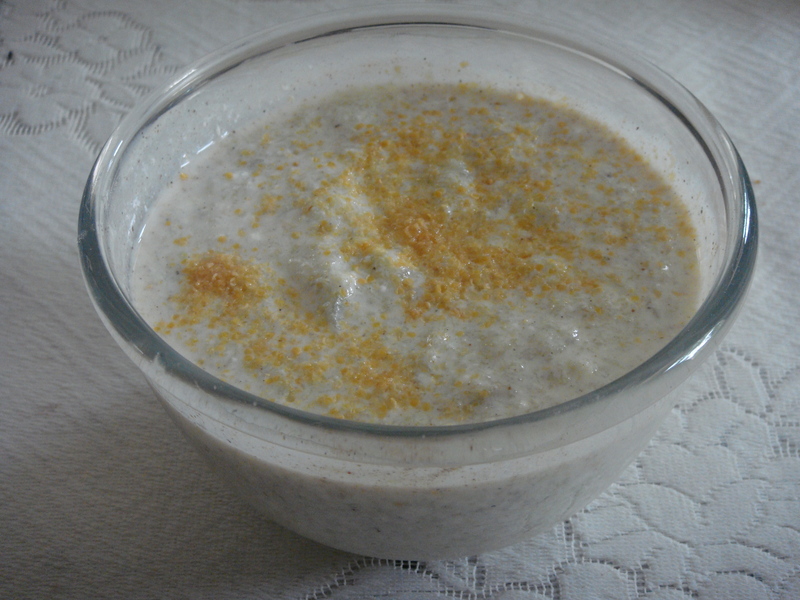 Here is a simple, delicious and very healthy recipe of an Indian side dish of yogurt/curd/Dahi containing grated steamed bottle gourd and spices. Grate ghiya with a grater,keep aside. Boil grated ghiya in three cups of water till soft (6-7 minutes), drain in a strainer and cool it. Mix the curd with a beater. If curd is thick mix little milk. Now add salt, cumin powder and pepper powder in the beaten curd.Fold in the boiled ghiya, mix well. Keep refrigerated till served.Sprinkle powdered mustard on it. Serve ghiya raita chilled as a side dish with boiled rice, rice pulaos, chapattis, parothas, and all other Indian breads. A bowl of fresh curd and veggies (Raitas)is a great accompaniment to lunches and dinners. Add sour curd to salads which make it taste better. This South Asian bottle gourd is bottle shaped, light green and long. The flesh inside is spongy. Bottle gourd or lauki is over 90% water therefore it is easy to digest. It is extremely popular for weight loss. Especially the bottle gourd or lauki juice. Lauki or bottle gourd is known to combat excessive thirst in diabetic patients. The fiber and the minerals in the bottle gourd or lauki supports healthy digestion and combats flatulence and combats constipation.